Armchair BEA is here! This will be my third year of participating in this event that was originally started as a kind of substitute for those of us who couldn't make it New York for Book Expo America and now has grown into a massive week long celebration of books and bloggers! The first post of the week is one where we are invited to answer 5 questions about ourselves out of a selection of around 10 questions. Here are the five I have chosen to answer. My name is Marg and I live in Melbourne, Australia. I am a single mum who holds down a full time job, a teenage son (wait, that doesn't sound right!) and most of the rest of the time I am either reading or talking about reading! I started my blog nearly 7 years ago, which at times makes me feel positively ancient in blogging terms, and I started it because I wanted, no make that NEEDED, to find a way to talk about the books that I was reading and loving. When I started my blog I fully expected that the blogging phase would last a few months, and then it would fade away which is precisely what I used to do whenever I started a journal when I was a kid but somehow or another this blogging habit has stuck and I most certainly cannot imagine life without it! I also am part of a group blog which is focused on historical fiction called Historical Tapestry and each year co-host the Virtual Advent tour with Kelly from The Written World which runs all through the holidays during the month of December. In addition I do some Australian focused things like allegedly run the Australian Book Blogger Directory (I say allegedly because I am very behind on that) and also co-host a weekly twitter chat called #spbkchat (South Pacific Book Chat) which was started as a way of having a regular book chat that was run during times that were convenient for us because most of the other chats seemed to always happen when we were sleeping! Today I just finished The Unbearable Lightness of Being by Milan Kundera for my face to face book club. The meeting was tonight and I only just started the book yesterday which was cutting it a bit fine really! In the end I finished it with 37 minutes to spare before book club which is lucky! I am currently reading Nadia Knows Best by Jill Mansell and I am about to start Attachments by Rainbow Rowell. The best books I have read so far this year are Me Before You by Jojo Moyes and Legacy by Susan Kay. You can read the discussion post about Me Before You here. I haven't actually written a review for Legacy yet so I will summarise my thoughts on that book by saying I thought I was all Tudored out when it came to historical fiction. Legacy proved that in the right author's hands I could still read books with that setting! I think I have a pretty stable blogging routine now. I usually do a couple of reviews a week plus co-host the Library Loot meme and participate in Weekend Cooking hosted by BethFishReads. I also participate in Sunday Salon. I think those last two are probably my favourites as there is lots of freedom to post about whatever you want to really! When I was much younger I spent five years living in the UK and whilst travelling had lots of opportunities to visit some amazing places, but now having so many more years of life experience and also having read a ton more books there are loads of places that I am pretty sure that I would get more from if I visited than I did when I first went to. I would love to do one of the literary tours that authors are being asked to lead. For example, Elizabeth Chadwick is leading one later this year which will take the participants to many places that were significant to William Marshal who lived during the time of the Plantagenets in medieval Europe. It would be fabulous to not only visit all those places but also to have the chance to sit down and chat with one of your favourite authors. I know that Sharon Kay Penman has run one before and I think that there are other authors who are doing things. The thing is though, if I do get the opportunity to travel again any time soon, as much as I would love to go to lots of literary places, really the first trips that I would be taking would be to see people who have become important to me through blogging. I know for example pretty much what my itinerary would be if I was going to get to New York and the east coast of Canada, or if I was lucky enough to get to France I know that I would be heading towards places like Grenoble that aren't necessarily on the normal tourist routes but where I know there is at least one like minded blogger who I would love to meet in real life. My reading tastes have definitely changed since I started blogging. These days I am reading a lot more spec fic, loads more short stories and a lot of young adult and contemporary romance novels which I would not normally have read before I started blogging. There is a whole world of books out there waiting to be discovered! Blogging and my fellow bloggers are definitely helpful in trying to work out which ones I think might be books that I could fall in love with! I don't know how I managed to keep blogging for as long as I have either. I was never very good at sticking to writing anything. There is just something about it. There is definitely something about it, and you find yourself getting more and more involved! Some days it feels like a long time. Other times it feels like no time at all! Wow, 7 years blogging is a lot of time! Congratulations. I read The Unbearable Lightness of Being a few years ago, and loved it, too. It's a great book. Alessandra, I can definitely see why it is considered a modern classic. Hey Marg- I always enjoy seeing you at Weekend Cooking and so glad you are doing Armchair BEA! I have not yet read The Unbearable Lightness of Being - but it is on the TBRs! Libby, I wouldn't have read that book except for book club! Glad to see you participating in Armchair BEA as well! Hi, Marg! WOW! 7 years! Congratulations! :) Nice to drop by here from the Armchair BEA. Wow! I can't believe how long you've been blogging! Me either some days Meg! I really hope I can learn from you and keep blogging!- my blog has been on again/off again and I gotta nail down a routine! I haven't read either of your "best" 2012 books, but I would like to check them out. Jenna, I find that routine helps, especially if I am going through a bit of a down time blogging wise. The danger is in becoming to structured which is why I find the free form Sunday Salon and Weekend Cooking posts to be so freeing. Finding the mix that works for you is important. Great getting to know more about you Marg, you really are an old-timer in this industry, respectfully. Enough with the old-timer! lol! It is amazing that you have kept your blog going strong for 7 years! I hope I can keep mine going. There are days when I feel overwhelmed by it all but most days I love it! You are an inspiration! I love the idea of you literary vacation being to meet other people that have become important to you through blogging! I have met some great people that I would really like to meet in person someday too! So nice getting to "meet" you! Shannon, there are still days when I feel overwhelmed or over pressured or under-inspired or even under-appreciated even after all this time! Believe me! Hi Marg! I hope you enjoy Attachments - I read it last year (I think it was only last year...) and I LOVED it! Sarah, I am enjoying it a lot so far! I love your blog and your answers! 7 years is quite a long time! Hope you have fun during Armchair BEA! Congrats on your 7 years blogging, that's an achievement, what an inspiration to a brand newbie like me! I think that there is a lot that I can learn from newbies today - particular their enthusiasm and the new ideas they bring! Thanks Kaitlyn! Hope you enjoy your ArmchairBEA too! I love the idea of a literary tour, even more than a specific destination! I hope I can maintain my blogging enthusiasm as long as you have. A literary tour with one of your favourite authors sounds like my idea of a perfect holiday! I definitely fluctuate in terms of how I feel about blogging, but not enough to take many breaks! I still need to go in and fix some links like to Virtual Advent but I am at work, and I am commenting instead of doing what I should be doing! Whoops! This is my first time participating in Armchair BEA and I am loving these intro posts. I've been following your blog for a while, but had no idea you've been at it for 7 years! That's awesome!!! You are the second person today to mention Susan Kay's Legacy and now I am definitely going to have to pick up a copy of it. 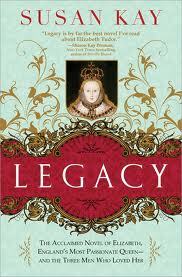 I love historical fiction, especially anything set during the Tudor period. I've never heard of literacy tours - I'm going to see if there are any here in the states. Legacy was awesome, so I hope you get a chance to read it! I have a good compromise--we can do a literary tour together! Or we can make up one around French Resistance lit (is there such a thing? ); that's definitely the big historical draw around here, as there were resistance fighters all throughout the mountains. A literary tour together would be totally awesome! Or we could spend some time in Paris or something like that! And you would totally be welcome to come visit me! I agree with you! Blogging has brought me closer to people all over the world and I would love to meet some of them. It was be wicked fun. Valerie, there are a whole heap of people that I would love to meet one day! What a great blog! You do so much. Very cool. I think I've become more focused in my reading, but I have to say, the book blogging community has brought me to authors I would have never found otherwise. It's so sad how many bookstores are closing, but at least I can count on bloggers to let me know what's out! Absolutely Stephsco. There are lots of authors who I found out about through other bloggers which have now become my favourites! 7 years is a long time! I've been blogging 5.5 and it seems like my whole life. (Haha, I'm 37, not really.) I'm reading more contemp romance lately, because it's almost always as advertised and I'm too busy to handle much else. Contemporary romance is something that I really only started reading 18 months ago or so. I always read other romance, but now I am really enjoying these kinds of stories! Seven years -- that's amazing!! So glad you've been here so long -- I appreciate your posts and thoughts on reading. I didn't know authors led tours -- that sounds heavenly. And I must off a squee for Grenoble -- I did a senior year abroad there in high school -- to a small village outside of Grenoble -- and the area is incomparable. Just gorgeous! Audra, you should talk to Beth from http://toofond.wordpress.com/ who is the person I would be going to Grenoble to visit! Absolutely! I have been trying to think how long it has been. Maybe 8 or 9 years! By the way, I owe you an email I am sure! 7 years is something to aspire to so it's nice to know there are bloggers out there, still doing this for that long and keep enjoying it. Ryan, most days I still absolutely love it! At the very least I can't see a point in time where I will stop blogging. Hey Marg! I FINALLY made it over here! All morning every blog I went to, you were one blog ahead - LOL! I could never catch up! Anyway, hope you are having a good Armchair BEA! You visited earlier Libby, but that's okay because I am happy for you to visit more than once! Are you on the Burgundy commenting team too? Now I am at work, and should be working and not commenting, so you should be getting ahead! It is good to know someone out there who has been around as long as I have (we're not so ancient!). Thanks for stopping by my blog earlier! Have a great week! I certainly don't feel ancient Wendy! Aww, I love that you say you would see fellow bloggers first if you could go anywhere "literary" - that's really sweet, and says a lot about you as a person and online presence. And 7 years, I am so impressed! I hope to be doing this to that mark and beyond as well. Happy Armchair BEA and so nice to meet you! You can always come see me :D I'm a cheap visit! Haha. You are indeed a cheap visit! I will try and send you an email today about Friday! It would be awesome to meet you one day Shelleyrae! Hi Marg! its nice to meet you! I'm glad you created a chat for your time zone! Wow, 7 years, you are very accomplished! I hope you have a wonderful time at Armchair BEA this year! You have a lovely, well-established blog. Glad I met you through ArmchairBEA. I'll be back to visit. Thanks Tami! I look forward to seeing you again here when you visit again. Wow, seven years and still going strong! That's so impressive, especially to someone like me who has only been going for seven months! Marg is nice to "meet" you. I'm behind with yesterday's 'introduction' posts because I was interrupted a zillion times yesterday! You have a terrific blog.7 years is awesome! I don't comment on your great posts very much at all (I'm so sorry!) I'm going to change that...especially now that I've 'outed' myself! I've never been to Australia but it's one of the places I hope to visit one day. I read The Unbearable Lightness of Being and thought it was very interesting and really great! I havem't read any of Jill Mansel's books yet but I know some bloggers rave about them. I'm looking forward to reading them. 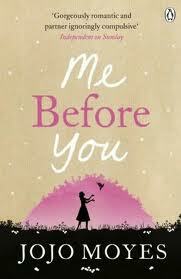 I have JoJo Moyes' book 'You Before Me' on my tbr list, at the top. Thank you for the link to the discussion of this book. It would be fantastic if you came to the NYC area! It's great to 'meet' you. Thank you for some fantastic book recommendations! I hope you have a great BEA week! WOW you are a veteran blogger! Congrats on keeping your blog running for so long. I love hearing about your historical fiction recommendations. I too have been introduced to reading many genres that I wouldn't have read prior to blogging. Wow, seven years - congratulations! I would love to visit the UK one day.